Writing prompts have always compelled me to simply write, especially if they push me into a creative thought that I wouldn’t have considered as a starting point for a story and/or a new surprising slant that I can use within a working story. Sometimes, a writing prompt isn’t packed full of profound information, but it’s more about the timing being in sync with your story dilemma. A writing prompt can create one of those sudden moments of knowing after being blank. Week 5, January 2017. Theme: NERVOUS HABIT. Create a nervous habit for one of your characters. If not the main character, choose a minor character who needs more description in order to come alive in the story. This habit could add an element of humor and/or realism to your story. The habit could be a sound they make, an action toward themselves or others, or an inability to act. The habit could create a central conflict for the character (consider habits such as cutting, binge eating, and other forms of serious, repetitive self-harming). Likewise, the habit could be more of a side-note, something endearing and entertaining without being central to the conflict. Adding a habit could show more depth to a character or to the overall story. I give the writing nudge to those who need an extra elbow or two, and I’m sharing one of my prompt journals throughout this year on the Thorncraft website. You’ll find a new writing prompt every week, sometimes in the wee hours of the morning for all the midnight writers out there. Writers, Week 11 of The Nudge is here, and we’re thinking about the foundations of mobility. Write On…Theme: BASIC MOBILITY. How do your characters stand? How do they walk? Are they incapable of walking/running/jumping for some reason? What does their stride look like if they run? Do they have a particular stance and is it altered when they are nervous or lack confidence? What kind of shoes do they wear? Experiment with basic mobility in your story. Find more suggestions related to creative nonfiction and poetry about this prompt on our home page. All photos & prompts by Shana Thornton. 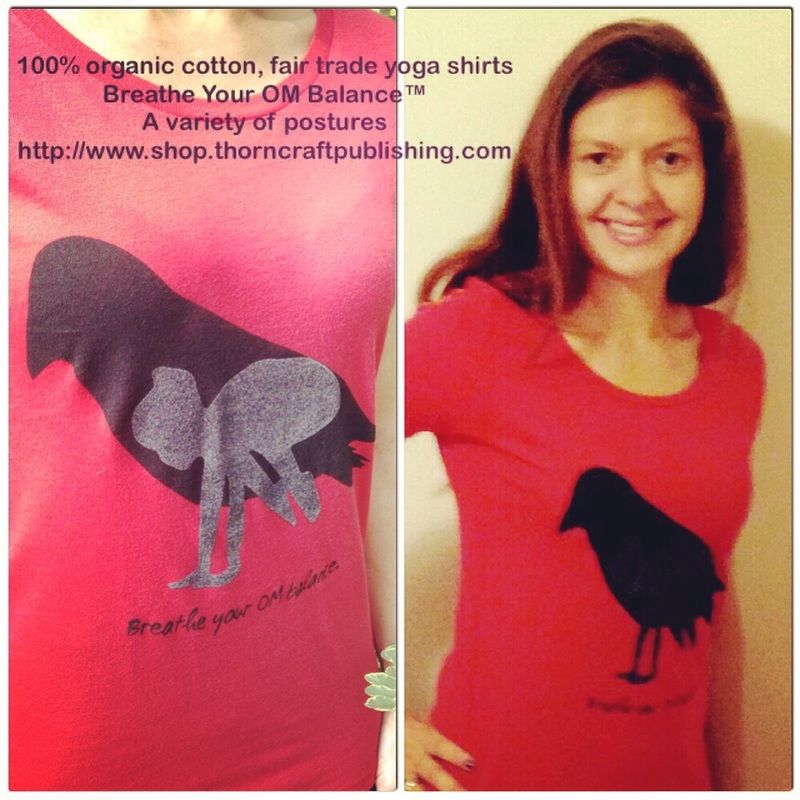 The current Nudge is on the Home page http://www.thorncraftpublishing.com and we’re up to Week 16 this week. On the website, prompts include suggestions for fiction, creative nonfiction, and poetry. Throughout this blog, I’ve given a few examples and the photos that accompany them. Some weeks, taking the photos inspires me as much as the ideas behind the prompts. Last year, I began participating in yoga challenges on Instagram. I started with a short one focused on meditative asanas (or postures). This allowed me to self reflect and slowly add longer, more rigorous challenges. Yoga challenges can be a one day thing (#HumpDayHearts is a Wednesday ongoing challenge), or last for a few days, a month, or even longer. You choose the challenges that fit your lifestyle and participate when you can. Many challenges will take place every month or every other month (the challenge #InspiredYogis in its 9th round is one example). They all vary depending on the theme or hosts. As a trail runner, I’m usually focused on improvement, endurance, and the goal. For yoga, I did not expect to “win” a challenge, as that seemed like a paradox considering that yoga was the practice. Not a sport. Not a competitive game. Yoga is a practice that isn’t a practice session or composed of practice sessions designed for a performance in which one is judged or an opponent against someone else. I learned that getting into my breath and finding comfort was the “win.” I was moving my body beyond its comfort zone. Moreover, I did receive a prize for participating in challenges…several prizes and they kept coming from protein bars to custom yoga outfits. This was simply a surprise bonus. I also realized that hosts and sponsors don’t choose recipients for prizes based on how challenging a pose seems to be. To one person, a twist is difficult, while someone else struggles with arm balances. The hosts and sponsors simply choose based on inspiration, effort, and compassion. Other challenges do not offer gifts or prizes. The point is personal growth and learning new ways of practicing an asana. Yoga challenges are another way of being physical, and the Instagram community of yogis are supportive, encouraging, and complimentary. Beyond that, they teach you how to practice by offering all kinds of variations, by discussing their personal growth from the beginning of their practice and by showing their fears are rooted in the body and its abilities. Participating in a challenge is sharing, giving, letting others in, and allowing a creative physical expression. I’m regularly challenged to face fears, if I want, and for me that’s standing on my hands or trying pincha. Some of my IG friends have confessed their fears of backbends, specifically dropping back to catch yourself on your hands. Someone else was terrified of hurting her back in bakasana, or crow pose. I read a yogis emotional reaction to deep twists and how emotion erupted from him and he had no idea that he was even feeling emotional. He was anticipating a stretch, a workout, a practice of breathing and body alignment, but what he experienced was so much more. He realized his own mental block. I admire the way yogis laugh at themselves and their bodies–their butts in the air in downward facing dog and so many other asanas (try #OhthePlacesYoullCrow challenge for some Dr Suess-inspired fun) I laugh at myself trying to do a chinstand, and I’m just rolling around in the grass and eating weeds more than I am balanced on my chin. I admire the way yogis find their niche of creative expression on Instagram. They create variations in not only the asanas and the approach to them, but also the way they take and edit the photos. The lines, the twists, the shadows and light on the human body in a place of balance, attunement to the asana and breath, going beyond to consider the space where the person is practicing yoga–all of that changes with each person’s different expression of the asana. The photos show yogis blending into landscapes, interrupting them, colliding with our own constructions in expressions of being and transformation at the same time. People becoming trees. Flying in an acroyoga bird in front of the sea. Reaching those toes out over the open space of a canyon, and perching like a bird with talons anchored into a rock, a bench, a mountain’s face. 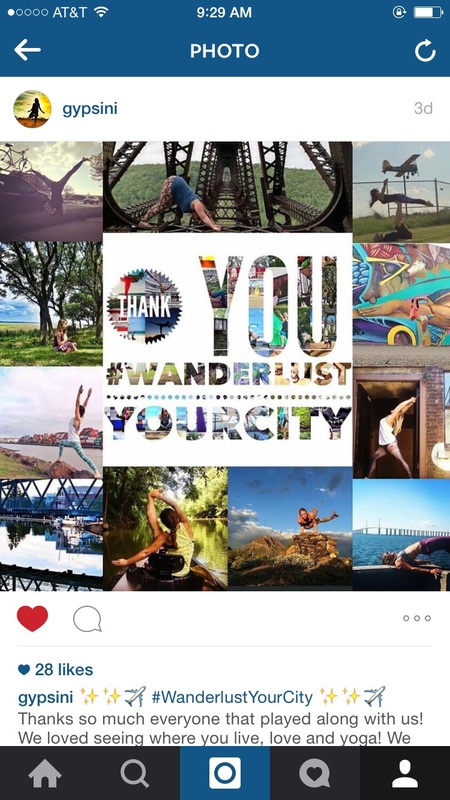 #WanderlustYourCity is a challenge that allows you to highlight the places that you love in your city and share those places with other yogis all over the world. Already a basic yoga challenge asks you to combine yoga with photography to create an image. Beyond that, yoga challenges like #ArtMusicYogaLove offer musical inspiration for artistic yoga creations. You choose your own asanas and how you interpret the songs given by the hosts. While the practice is personal, yoga is a gift to be shared. Experiencing it with others is joy. The challenges have encouraged me to practice yoga in public with family and friends with whom I’ve never practiced yoga. 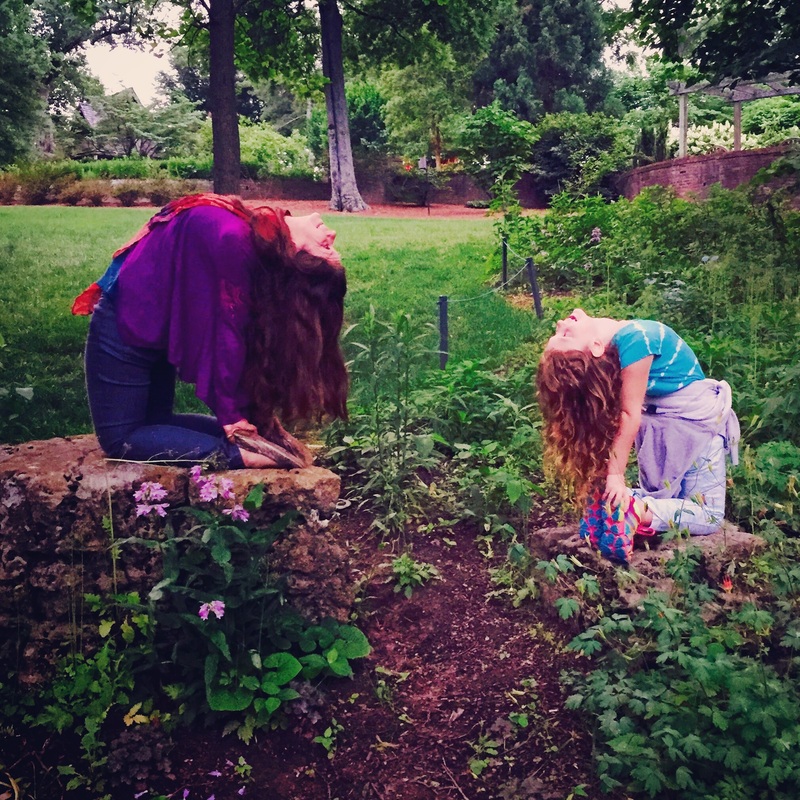 The challenge #Twinnings has connected yogis who’ve never met in person but who wanted to create yoga art together and encourage one another. No matter what your religion or spiritual practice, if you want more depth and a place to discuss ideas, you can find that in the challenges as well. Many yogis discuss deepening their meditative practice or their core spiritual beliefs, and provide instructions on what has worked for them. These beliefs do not have to be Hindu, Buddhist, or Taoist. 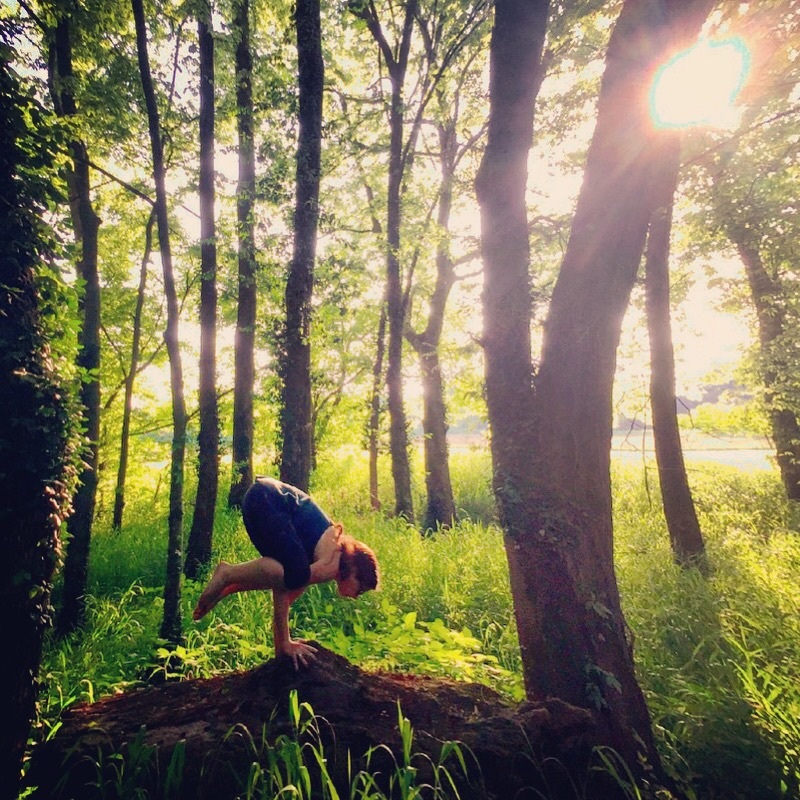 Instagram yogis have a variety of spiritual beliefs & practices. #MoreThanAsana is such a perfect challenge to experience spiritual depth, whether you share your journey on Instagram or use it in your practice privately. Before you know what happened, you’ll be reaching your toes and flipping your grip, getting deeper and flying higher, if you allow yourself a daily practice with the IG Yoga Community. Yogis like to say “practice and all is coming,” and I know what they mean because I see the evidence in my life. Yoga benefits the body in so many ways. Many yogis share how an asana improves the body and the benefits of practicing a particular posture. For example, how inversions can aid in chronic headaches and mild depression, to name a few of the benefits. The challenge is happening now on Instagram. Join some wonderful hosts and discover more about your body-mind connection. Have a good time creating art with your body and surroundings. An empty room and blank paper–at countless workshops & speaking engagements, writers advise having those two things in order to create a manuscript. It’s a necessary beginning for many authors, myself included, but once a story takes shape, inspiration needs to come from a source with more to offer than the expansiveness of the blank page. Visual stimulation is as important to me as what life may sound like for the characters I create. I look at photographs to find ever-changing muses. They show her modern day life with her husband on their middle Tennessee farm, but most of the images have a vintage filter or style. 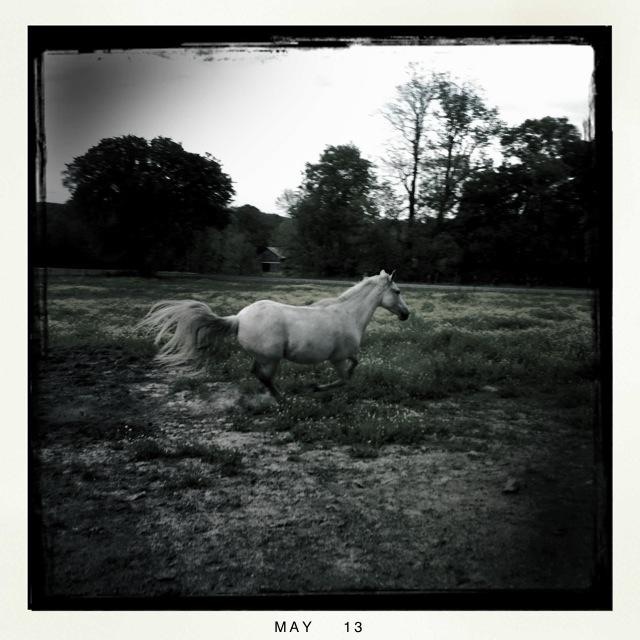 I’m mesmerized by her ability to capture the beauty of horses in motion and how sunlight moves and changes through the day and the seasons. Candice and I worked on our high school yearbook together, and after I graduated and moved, and then she graduated and moved, both of us traveling in opposite directions, we found one another via Facebook once we each returned to middle Tennessee to reconnect with the permanent roots we already had here. Did technology help me to write my book? Of course, it did, and bringing images directly to my phone from her phone is only one example. 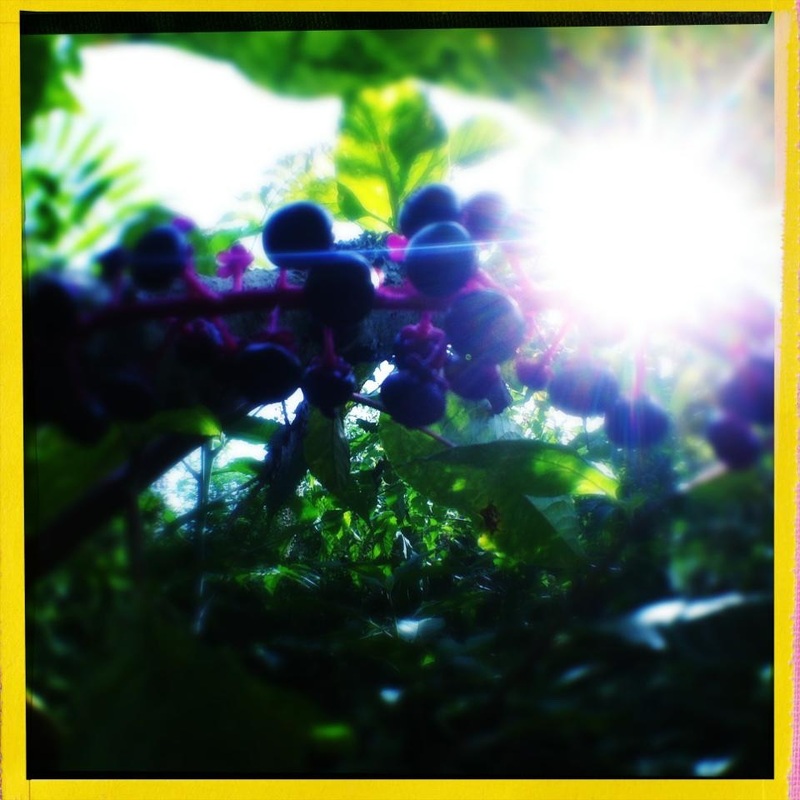 When I asked Candice if she had photos of poke sallet in every stage of development–flowering, berrying, ripening, and nodding in a tower back toward the ground–she walked outside and around her farm to take the photos. Each time she sent a photo or tagged me in one, I jumped back into the story with fresh images to pull me along. I am honored that she gave me permission to create a slideshow for the book composed of her images. During my reading next Thursday, June 4, 2015, at the Customs House Museum and Cultural Center in Clarksville, TN, I’ll display the slideshow on a large projector during my reading at the art walk. I hope that you will join us. I’ll also display a second slideshow composed of antique and vintage photos of historical places in and around Nashville, as well as rural middle TN families with their musical instruments. The Art walk begins at 5:30 pm. I will be reading from my new book and signing copies. Books will be available for purchase from Seasons, the museum gift store. 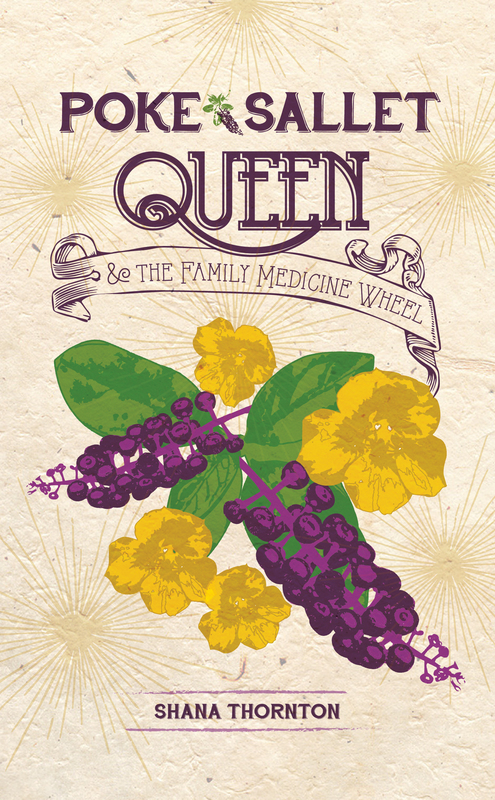 Read praise from notable authors and more about Poke Sallet Queen & the Family Medicine Wheel here. Book available now from all major distributors. Request it from your local library. Copyright: All banner photos on this blog are by Shana Thornton.